Continuing His agricultural theme to His farming listeners, Jesus tells us the story of the mustard seed growing into a large plant. The seed to which Jesus is almost certainly referring is the black mustard, which begins as a very small seed and grows to be about 5-10 feet tall if unrestricted from other plants. 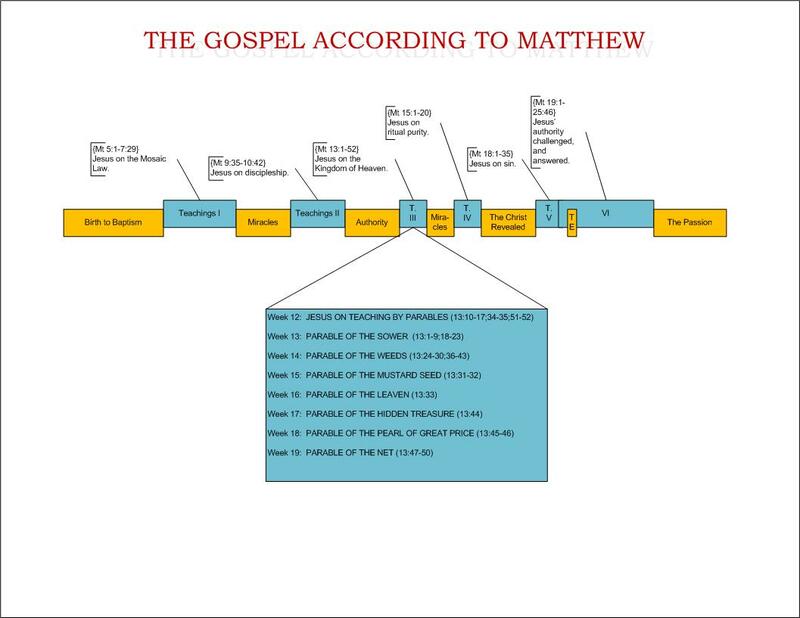 It is important before analyzing the passage, though, to understand how the mustard seed was viewed at the time. When it came time to putting in the bamboo, my grandfather warned my dad that the stuff was almost impossible to kill off, and he probably ought to reconsider. But Dad planted it anyway. The stuff shot up, and spread like wildfire. Before long, horizontal shoots of bamboo were poking at the pool liner, and the dog could get lost for a few days in the forest of bamboo. The backyard now is nearly bamboo free—a process which has taken almost seven years of work to achieve. He cuts the stalks down, poisons them, then repeats: dozens of times each summer, for seven years. And now he is almost rid of it. 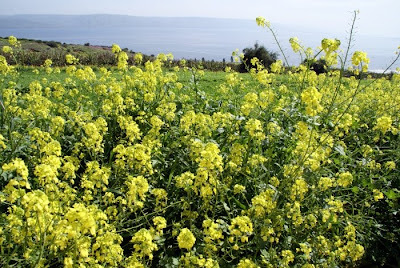 The mustard plant generated oils that were used for medicinal purposes, but no one really ever wanted to plant it in their fields because it would ruin and choke out the rest of the harvest. It was seen as much as a weed as a plant, and no farmer in their right mind would ever plant it in their fields. So when Jesus is sharing this story, He is really catching people off of their guard. By telling them that the kingdom of God was like a mustard seed, Jesus is driving home several points which proved absolutely true about early Christianity. First, a mustard plant is beneficial. Properly extracted, it was used by doctors for medicinal purposes. So Jesus is telling His listeners that the kingdom of God could heal people. Second, a mustard plant grows rapidly. It starts as something inconsequential and becomes a towering, healthy plant strong enough that birds could land on it. Do not forget that, at this time, Jesus’ followers likely number in the dozens, with a few thousand having been awed by His miracles—not exactly a powerful religious group! They are a few dozen people following one itinerant preacher in a backwoods, forgotten province on the edge of history’s greatest Empire. They are nobodys. But Jesus is telling them that they will one day be a major player in the world around them, and indeed—like a mustard plant—their faith will be strong, powerful, and overtake the world. Third, mustard plants are not well received by those with fields. They are seen as (at best) annoying, and (at worst) a pestilence. Jesus is reinforcing His message about the persecution of believers, telling them that even while they grow in strength and spread in influence, people will not want them to be there. Christianity will be viewed negatively, even as a mustard tree. Fourth, mustard plants are nearly impossible to kill. Christianity is, as I once read, a seemingly impossible faith. Sociologically, nothing could be more backward at the time than the Christian faith. In an age of honor, Christians worshipped a dishonored God-man. In an age of philosophy and patronage, Christianity spread among the uneducated and poor. In an age of Roman dominance, Christianity claimed to be the entire future. In an age of power, Christianity was non-violent in all resistances. In an age of debauchery, Christianity was strictly moral. It so angered the powers-that-be that they often tried to destroy it: first with the Sanhedrin’s assassination of Jesus, then with Herod’s persecutions a few years later, then with decades of systematic Roman persecution. And every time, the faith grew, and strengthened and spread. Tertullian (one of my personal favorites) once wrote, “The blood of martyrs is the seed of Christians.” Jesus is saying that just like a mustard plant spreads like wildfire, so too will Christianity avoid any attempts to uproot it. This parable is too often overlooked. Sure its basic point is simple—faith starts small and grows large, Christianity started small and grows large. But there are plenty of small things that grow large. 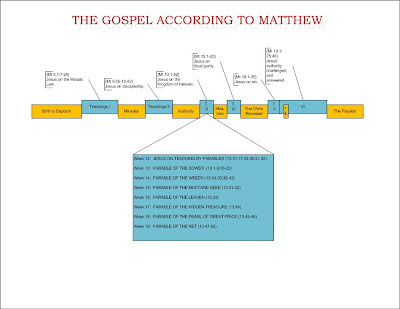 Jesus chose specifically something which, to His audience, was seen as a wild plant that is uncontainable. I highly doubt this was accidental. Little that He did seems to have been an accident.